What a great race weekend! 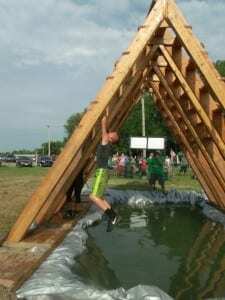 I was intrigued by Conquer The Gauntlet’s obstacles when I came across their race so, my son and I decided to go check it out and see if the proof was really in their pictures. SCORE!!!! CTG is put on by Mainprize Industries LLC, a family company. David Mainprize and his brother Stephen, with his wife Courtney are incredible people. Their goal is to create an energetic, community atmosphere while still providing an extreme, intense, and competitive race. You get what you pay for and more. CTG prices are more than competitive, plus parking is FREE and spectators are FREE!! They are very big givers of charities such as, Folds of Honor, Tim Tebow Foundation, Good Spread, and the Regional Food Bank of Oklahoma. 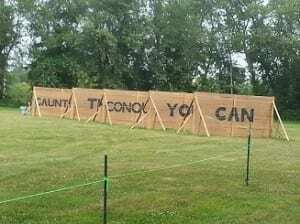 They delivered on their 25 obstacles and 4 miles of challenging terrain to test your limits and show your character. I have done quite a few races and this is the first OCR race that wasn’t just a “mud run”, it was an “obstacle course” race with mud!! Just what I’ve been looking for. A course strategically designed for you to fail and not for “everyone” to pass. 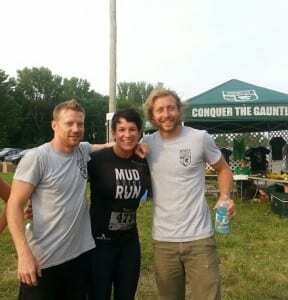 When the race started it was about a half mile to our first obstacle of Horrible Hurdles at various heights, dodging The Gallows of swinging tires into the Tiger Trap where you sank chest deep in mud and water with the only way out being an 8 foot mud mound looking down on you. This is where Teamwork and camaraderie kicked in and people became human ladders. Awesomeness!! We climbed the Great Wall of America and had our balance tested walking 2-inch planks and tight rope walking over pools of water, from that point on it was boom, boom, boom, one obstacle after another. 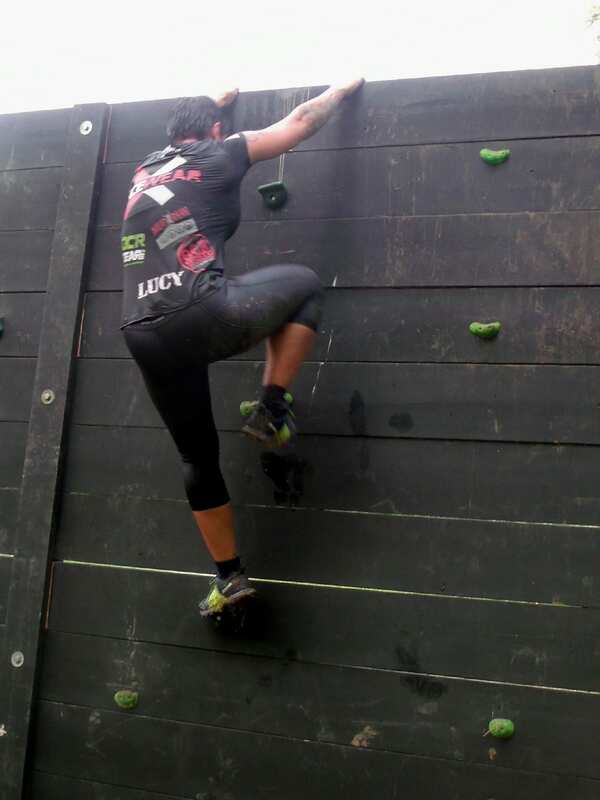 We crawled under barbwire and through the Labyrinth of tangled ropes, walls of cargo Net Scramblers, up and down swinging walls of tires, scaled rock climbing walls, and jumped over Flying Flames. Your upper body and grip strength was definitely tested on this course with a 15 foot rope climb to hit the More Cowbell, and more rope pulling and scaling of slippery slope embankments over creek crossings, and of course…..The Walls of Fury!!! The five, 8 foot walls (Can You Conquer The Gauntlet) that tax you before you get to the Nemesis Enforcer and last of all before you can cross that sweet finish line……The Stair Way to Heaven….that took me to Hell because it BEAT ME!! 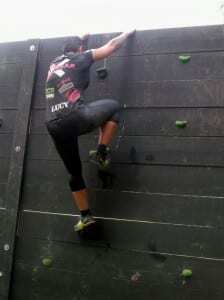 I loved this obstacle and can’t wait to do it again in Tulsa, Oklahoma on August 23rd. All I have found are 5 star ***** reviews given by the racers who did CTG!! This race was very well put together, along with the great staff that kept things moving, so there were NO long lines at the obstacles, and NO confusion of where to go. That itself makes a big difference. All I can say is “Thank you Mainprize Industries, I wish there were more races like CTG”. Did you do the Kansas City Conquer the Guantlet? Share your own rating & review about the event today!